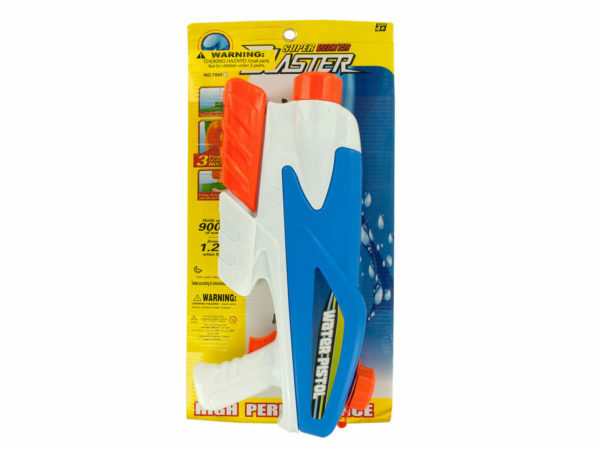 Blast away the competition in water battles with this Super Water Blaster Gun featuring a large plastic water gun in a futuristic design with pump action and a powerful adjustable nozzle. Holds over 30 ounces of water. Measures approximately 14.5" long x 6.5" tall. For ages 3 and up. Comes in assorted colors. Comes packaged to a tie card.